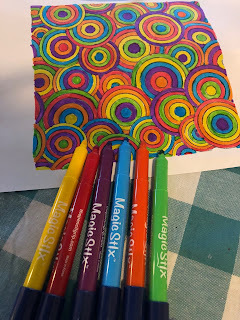 We were so excited to get the opportunity to review the Magic Stix Washable Markers - 24 pack from The Pencil Grip, Inc.
We received the Magic Stix Washable Markers - 24 pack set ($19.99). The colors are bright and you can do both a broad and fine line with them. They are excellent for school projects and fun coloring!! But the one detail that set apart Magic Stix Washable Markers - 24 pack from all other markers is their guarantee. Magic Stix are guaranteed that they will NOT dry out for 7 days if you leave the cap off!! How many times have we had to throw away markers because of this reason?!?! Heck, I can't even leave the lids off of markers while working with them on the table during lessons. There are some brands that dry out and start having trouble writing after only a couple hours with the lids off. So we took on the challenge! 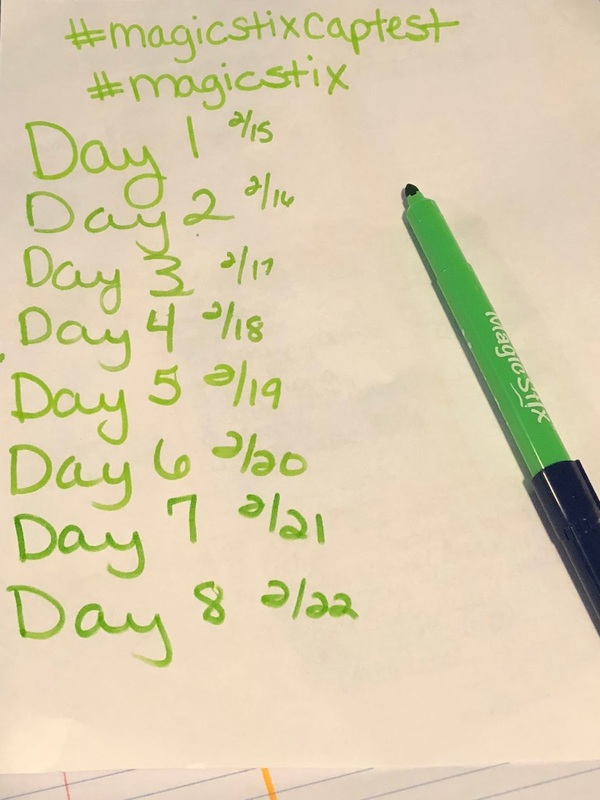 We did the Magic Stix Cap Test for 8 days. I wanted to go longer, but Joey found my hiding place and replaced the cap, out of habit. Check out our results.....By day 8, the color is the same if not just a little better then on day 1!! I LOVE how versatile that Magic Stix Washable Markers - 24 pack really are. 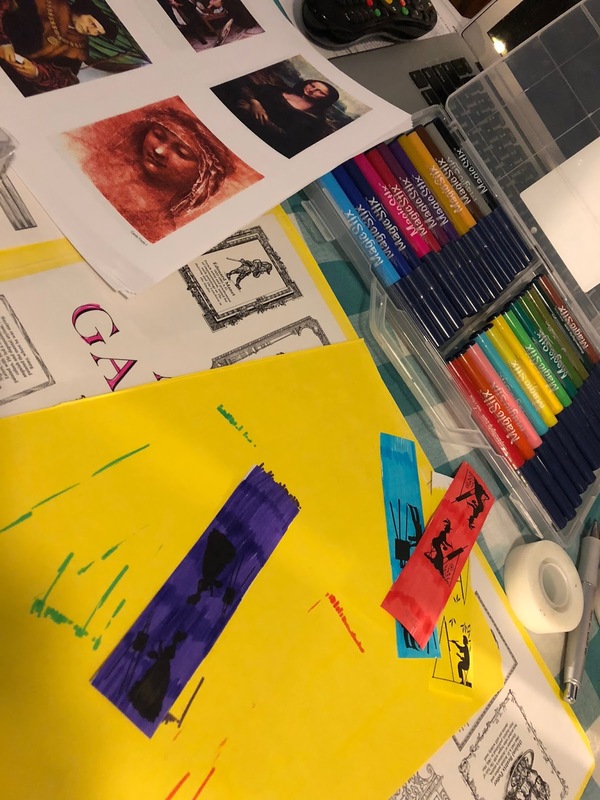 I am able to use them when making our art game. 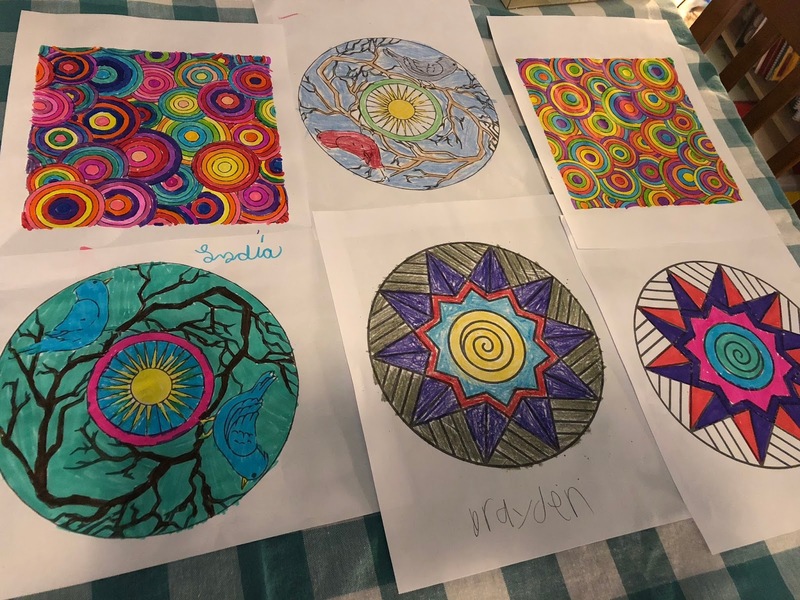 But also able to color alongside the kids as we are working on our Math/Science Art coloring pages. This coloring page was very tedious. So were the kids choices in coloring pages also. The markers were left open on the table as I worked on my page and the kids were working on theirs. We just left the lids off and passed them around the table as we worked. The markers were off for 5 hours!! Just rolled them around the table as we colored. The colors finished very bright on all our projects! 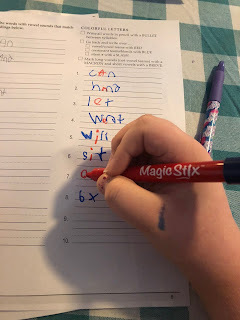 Not only are Magic Stix Washable Markers - 24 pack great for coloring, but the tips can be used for thin writing with Caty as she breaks apart her spelling words into sounds. 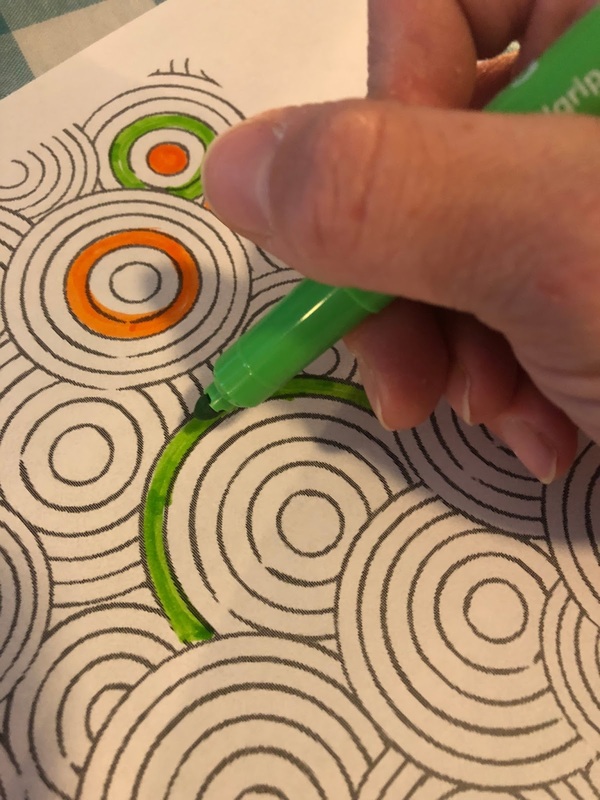 The tips on Magic Stix Washable Markers - 24 pack allow for a thinner line, but also a wider line. They are not a "broad tip" marker, but you can color large areas with them. They do not start to color streaky if you are coloring large areas the way other marker brands do. The only streaks are when I mess up. 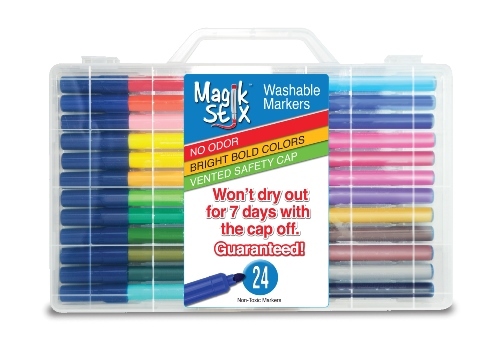 Magic Stix Washable Markers - 24 pack come in an absolutely great plastic carrier. We have never had any trouble putting the markers back into the container. They sit flat on the shelf while being stored. So even though they are a larger set, they take up almost no storage space. We LOVE Magic Stix Washable Markers - 24 pack. They are our new favorite markers. The girls hope that they will come out with some glitter colors also. They haven't touched any of our other markers since we have gotten the Magic Stix Washable Markers - 24 pack. I take these markers with me to our Art Co-op also. I find myself not being obsessed about marker caps anymore, as long as I have these out on the table. I highly recommend adding Magic Stix - 24 pack to your homeschool supplies. They are affordably priced and see how few markers you will have to replace!! Magic Stix Washable Markers - 24 pack also make a great gift!!! Add them to your wish list today!!! Several members of the Homeschool Review Crew were given the opportunity to review the Magic Stix Washable Markers - 24 pack from The Pencil Grip, Inc. Take some time to read how they used them with their families and what they thought of this product. Simply click the banner below.